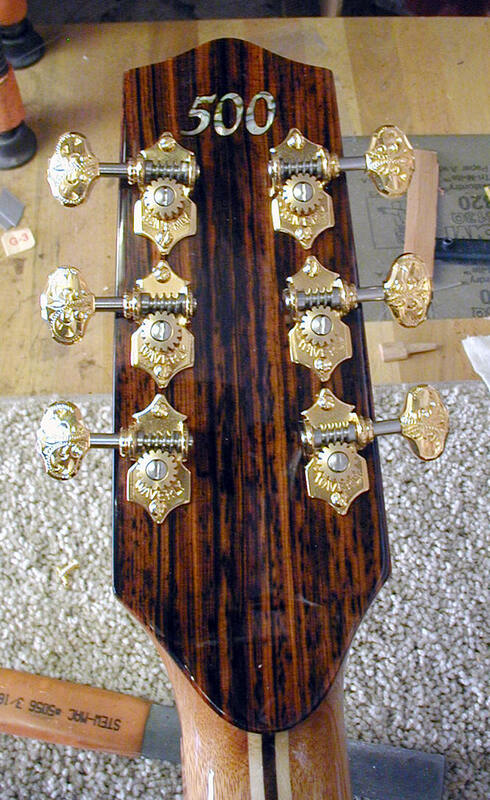 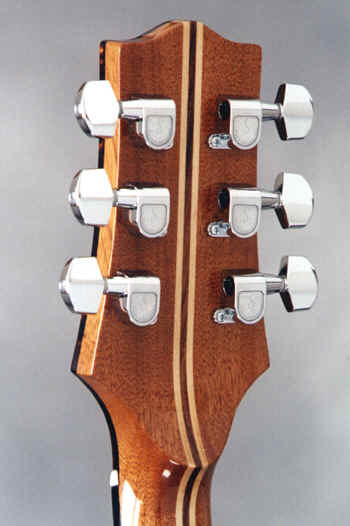 I use three different peg head designs for my guitars. 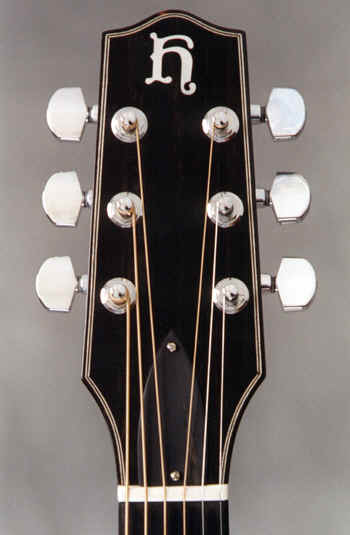 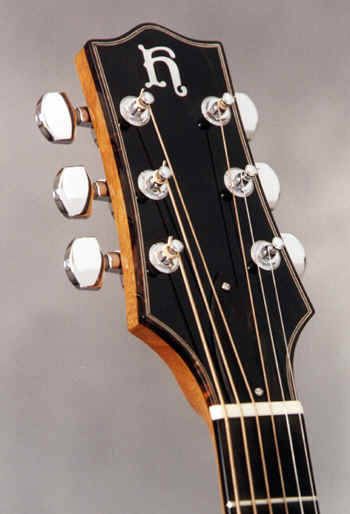 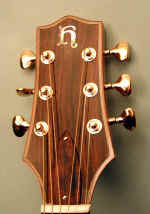 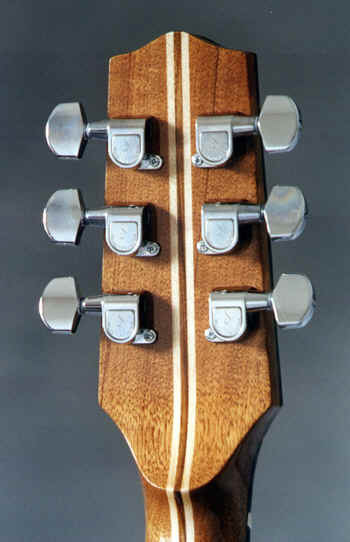 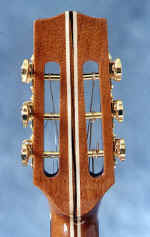 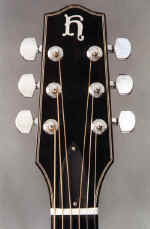 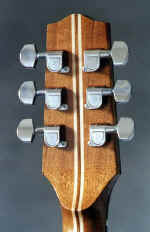 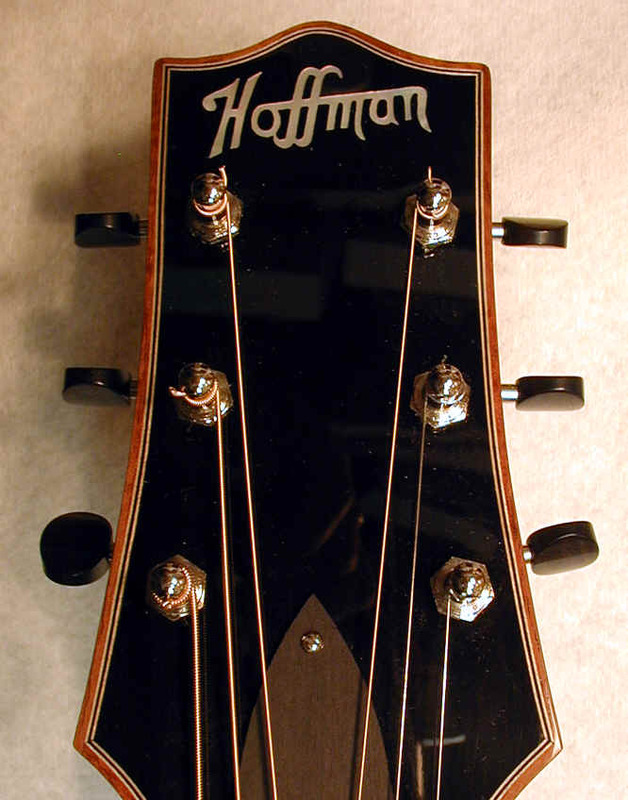 The peg head with the gently curved sides is used on my dreadnaught guitars, and the smaller straight sided design is used on my concert and parlor guitars. 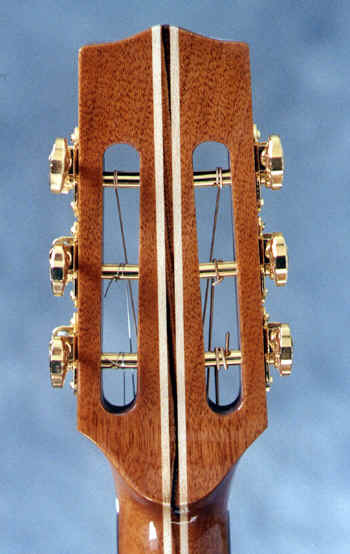 I also make a slot head design which I use (as an option) on the parlor and concert 12 guitars, although this shape can be used on any guitar. 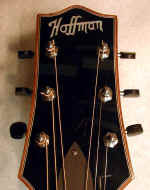 For that matter, any of my shapes can be used on any guitar. 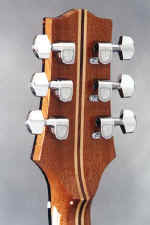 These photos are thumbnails. 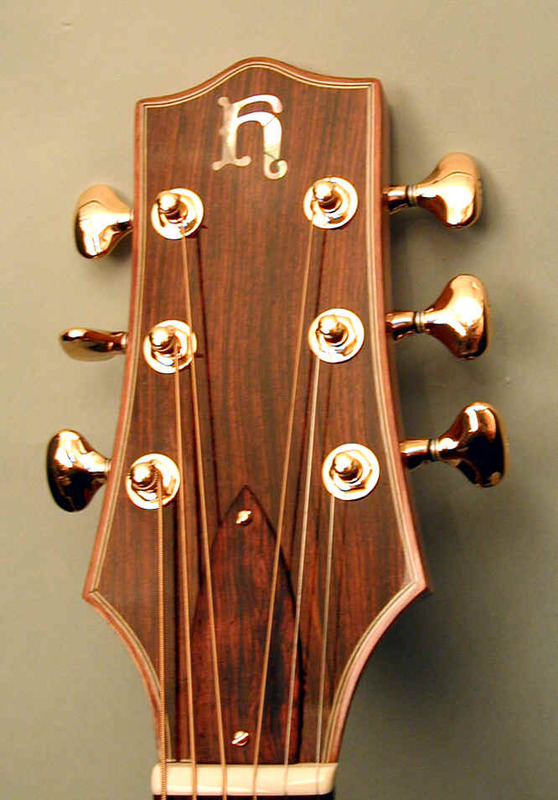 Click on the photo to see the full size photo. 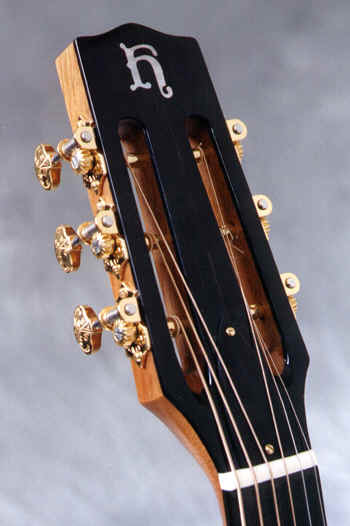 this is the first time I have put an overlay on the back of a peghead - I was quite happy with the result.